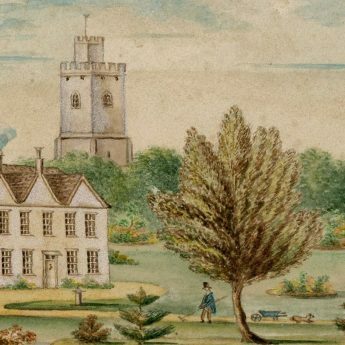 This charming Georgian watercolour shows Whitminster House with its sash windows and tall chimneys with the tower of Whitminster Church overshadowing it. 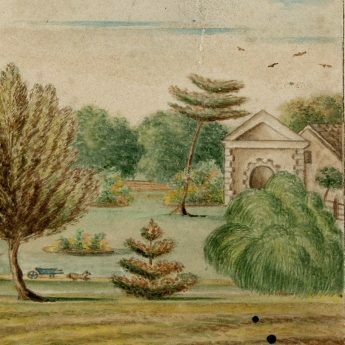 The splendid looking grounds with a meandering stream are planted with specimen trees and there is a folly or summer house on the boundary. 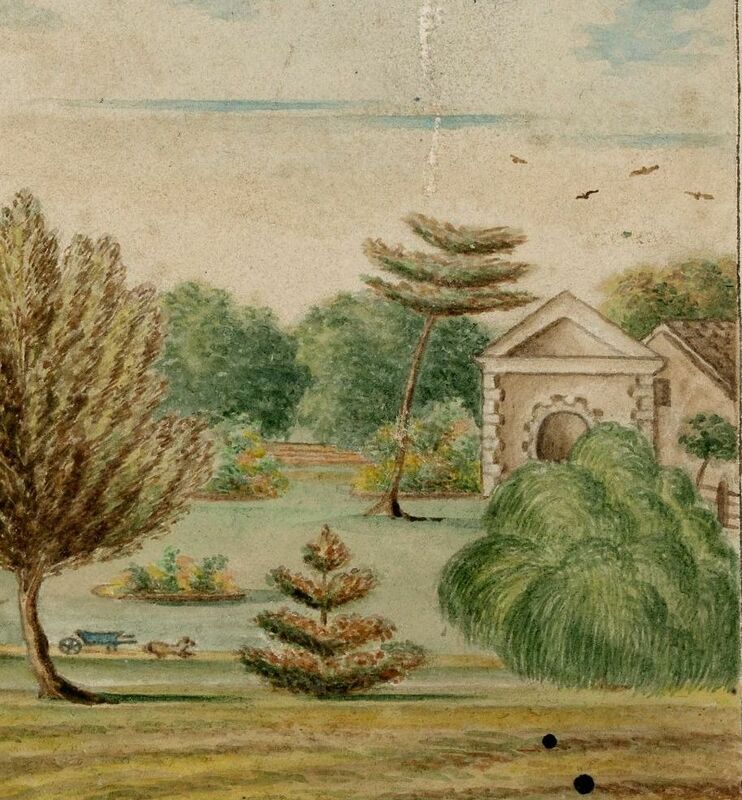 Cattle graze in the foreground and a gardener sporting a top hat is hard at work with his rake and wheelbarrow, ably assisted by a frisky-looking dog. 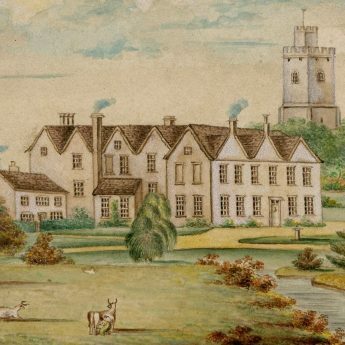 Whitminster House in Gloucester dates from Saxon times. 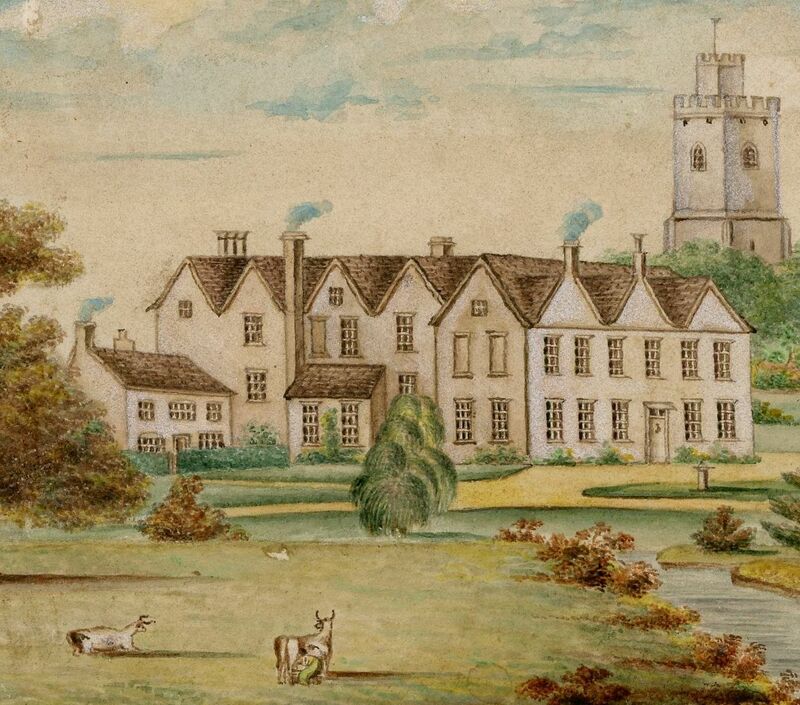 It is mentioned in the Domesday Book and was once owned by Henry V. The house survives today and is still recognisable from this painting. 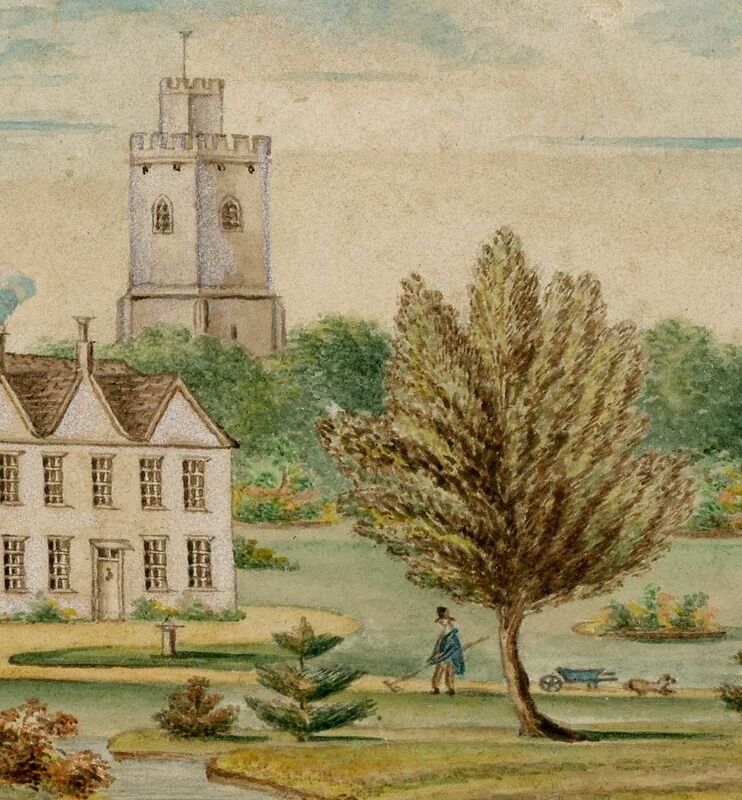 The watercolour is enclosed within a narrow ruled border in pen and ink and retains the original title though this has been clipped on either side. 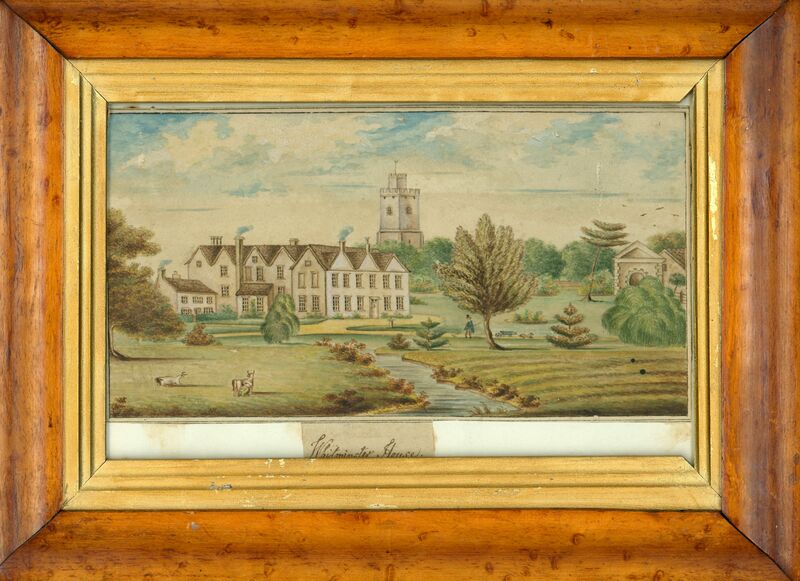 It is laid on paper and is presented in a period maple frame with a gilt slip that is curiously mis-matched on one side. All of which just adds to the quirkiness of the piece!